With the notion of cross-realm being active, the issue of faction imbalance is brought again on the table. 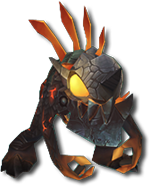 Whilst, it is not significantly present in other areas of the game, such as in PvE, it is, unfortunately, most noticeable in PvP. As players, ourselves, we noticed longer queues on Alliance and lack of players on Horde. Cross-realm brought more activity and with it, more population for all three of our Wrath of the Lich King realms but we are aware that it can be even better. Queues can be instant and PvP even more alive without having an affect on our already built-up PvE culture. The idea of this has come from the community itself, by repeatedly suggesting it every time we had an in-game discussion. 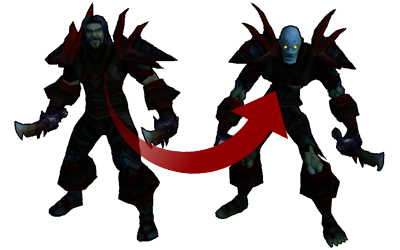 The idea itself is to make Alliance players, the faction itself, when the need arises, also consider as Horde. This does not mean it's mixing players from both factions, and you won't find you and your friends (whether in a party of 5 or a custom premade of more) on opposing sides. While playing as a Horde player, Alliance players will take form of their Horde counter-parts. To clarify further, this means only Alliance players will show up as Horde players, in order to introduce more players in the pool on both sides but there will be no mixing of factions. This means you won't have to shake hands with your foes. This process would be automatic and you would be assigned as such when the system needs to balance the pool. This would have no effect on Horde players and their queue wait times. We will not be mixing Horde or Alliance together, there is no mixing of factions. If the community agrees for this change to be implemented, we will post a table on which race turns into which. We have decided that in such a system, we would not change the racials. Making spells available and unavailable based on the map where the player is, leaves a lot of space for disasters. We call this same-faction mercenary mode! Such a change, while it can be considered blizzlike as it was implemented there also, is still something that changes the way PvP is enacted on all of our WoTLK realms. Therefore, we leave this decision in the hands of the community. The poll will last for 7 days and it will be broadcasted everywhere, you will be able to cast your votes and we will take action accordingly. I can tell you that if I am placed on the Horde side, I will simply desert the BG. If I wanted to play Horde, I would. I did play Horde for many years, actually. What's happening in Horde that people don't want to roll horde toons anymore - have you thought of that? I have a pretty good idea. I once played a PVP server that just queued alliance and horde and distributed across the map whether it be alliance side or horde side of the map. The idea was to just fill up the spots to insta-queue bg's. I left a server because of this mode, and half Serbian Knights members as well. For God sake, do not ruin PvP on Warmane.. If in practice this will cut down on que wait time for bgs it sounds like a great idea. But if possible don't change visuals of characters. since there'll be a lot of ppl complaining, why not an option to choose between a fastest queue with any faction or a longer queue with ur faction! Something like that. so the racist ppl would be happy on their on side. as far as I know, fighting on horde side against alliance in Alterac, Arathi and Warsong awards reputation. horde factions on exalted award Conqueror title, as far as title of The Horde. Enable title award for Alliance players since they will fight as horde and I will vote yes, otherwise it is considered as hypocrisy. There will be no mixing of factions. This is just Alliance players fighting Alliance players while they're basically in a custome. Racials stay the same. Premades are not harmed, no matter if group party or AV Enabler. This gets turned on only if there's a need for it in the pool, cutting down long queue times. This will not be affected. All and any contributions that you would have received as an Alliance player, you will receive the same.